Hassanal Abdullah, poet, novelist, critic, translator and the author of 36 books including 16 collections of poetry, was born in a village of Gopalgonj, Bangladesh. From the beginning of his writing career, he established his own tone and voice. He has introduced sonnets with rhyming scheme abcdabc efgdefg and seven lines stanza pattern. He calls them Swatantra Sonnets, the third edition of the book with the same title was published in 2014 with 203 Sonnets. He also published two novels, and a textbook on Bengali rhetoric and prosody, Kobitar Chhanda, (Bangla Academy, 1997), which has got it's 2nd edition published in 2011 by Mowla Brothers. All of these were written in Bengali and published from Dhaka, except three bilingual collections, Breath of Bengal(ccc, 2000), Under the Thin Layers of Lights(ccc,2015) and Swatantra Sonnets (Feral Press and ccc, 2017). Hassanal is the editor a bilingual (Bengali-English) poetry journal, Shabdaguchha, which is also available on the web: http://www.shabdaguchha.com. 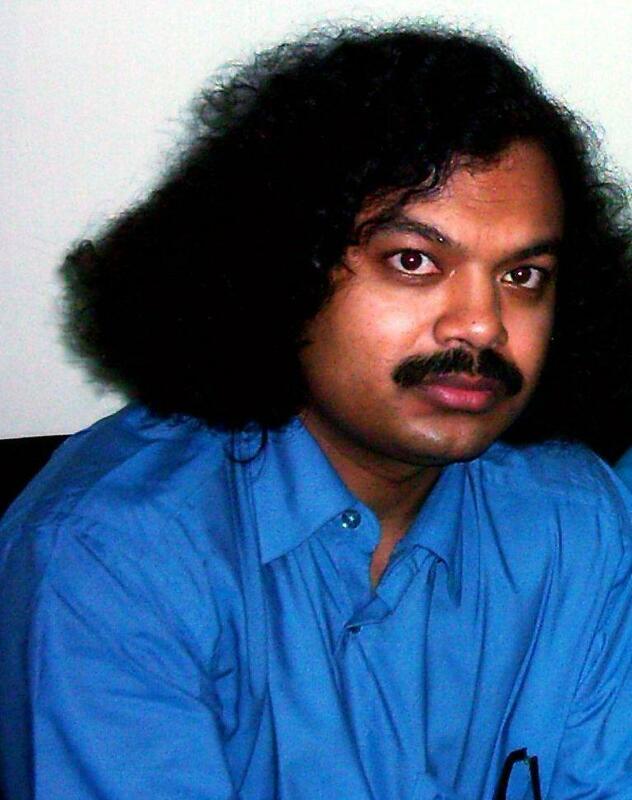 He regularly contributes to the major newspapers and journals published from Dhaka and Kolkota. He also contributed to some poetry magazines in the United States, such as LIPS, Paterson Literary Review, Poetrybay, Medicinal Purposes Literary Review, Asbestos, and Long Island Sound, The Seventh Quarry (UK), Krytyka Literacka (Poland) and Immagine & Poesia(Italy) and Poetry Journal (Vietnam) etc. Hassanal has also participated in various readings in the NYC area, including Barns and Noble bookstores, as a Feature Poet. A 314-page epic, Nakhatra O Manusar prochhed (নক্ষত্র ও মানুষের প্রচ্ছদ), (Anayna, 2007) is written on the universe and life in it. His Selected Poems: 1990-2010 was published in Dhaka February Book Fair by Anayan Prokashoni in 2010. He translated Charles Baudelaire, Stanley Kunitz, Nâzım Hikmet, Tomas Tranströmer, Nicanor Parra, Wislawa Szymborska and Gerald Stern into Bengali, Biswha Kobitar Koyed Chhatra (Shaitta Bikash, 2008) and Shaheed Quaderi, Shamsur Rahman, Humayun Azad and many more Bengali poets into English. Kobiter Janmodag (Mowla, 2008), is his collection of critical essays on poetry. In 2007, he was an Honorable Mention for Poet Laureate of Queens, New York. In 2016, at the International Silk Road Poetry Festival in the Szechuan Province, China, he was awarded the Homer European Medal of Poetry & Art. He also received the Labubhai Foundation Award in 2013 for the sonnet form innovation. Mr. Abdullah has lived in New York City since 1990, where he works as a High School math and computer teacher for the Department of Education. He also taught Calculus and Computers at Hunter College and Laguardia Community College. He is married with Naznin Seamon, who is also a poet and short story teller. They are the parents of their only son, Ekok Soubir, who is 13 days older than the 21st century. Whenever I cast my sight, I find her anew. The more I touch her the more she thrills in luster. I’m aware her body knows bird mythology. unfurl her hair and eyes and breasts and thighs on me. Talks ripple in the villages and out through the towns. to wash our sweat, in icy dawns or warm sunsets.